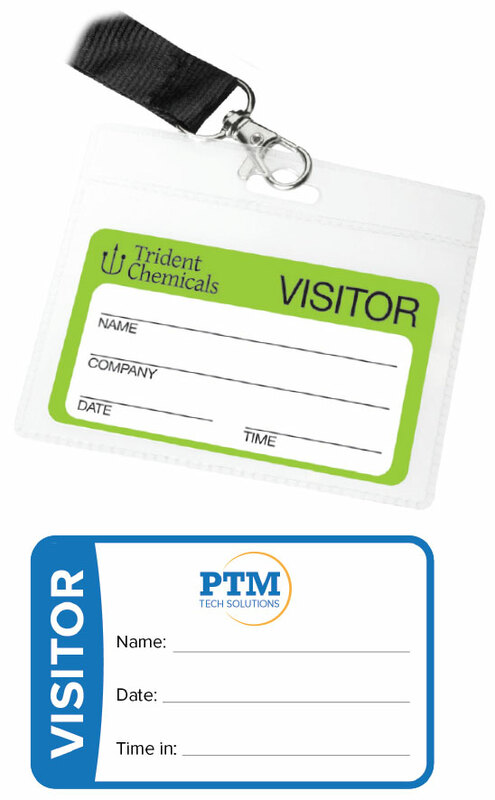 Visitor badges are more popular than ever because they've been redesigned to be reusable, durable and mess-free. Gone are the days of sticky residue with a peel-off, single-use label. These badges are made from scratch-resistant polyurethane that can be custom printed with a logo, background color, sequential numbering or any other specification required. Includes clear clips to fasten securely on collars, pockets or lapels. NOTE: When ordering, request individually sheeted or rolls with or without perforation between labels.